Make your '04-'14 Ford F-150 stand out from the rest with this great-looking "Tremor" inspired Hood Enhancement Graphic kit. Kit is PRECUT and ready to install. Digitally printed with our DuraCOLOR graphic technology, kit is manufactured with premium automotive grade vinyl film materials. As a further step, graphic is covered with a Matte or Gloss 2 mil clear laminate which provides protection from miles of abuse. As you can see, graphic package is not just a generic graphic piece. 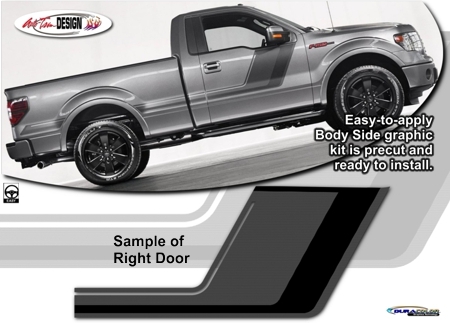 Kit is specifically made for the '04-'14 Ford F-150 and will not fit any other vehicle. 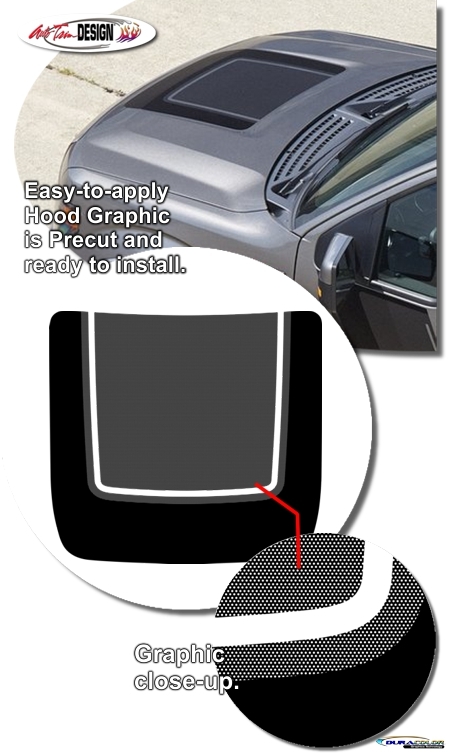 Body Side graphic is not included with this Hood Enhancement Graphic kit but offered as a separate time within our site (ATD-FRDF150GRPH53). Ford’s F-150 Tremor stylized graphic consists of a dot matrix pattern on a transparent film with a unique simulated carbon fiber pattern and a satin finish. While kit offered herein features a dot matrix in the likeness of the OEM graphic it does not include the simulated carbon fiber pattern. Graphic is simply manufactured with Black as a substitute for the simulated carbon fiber pattern.